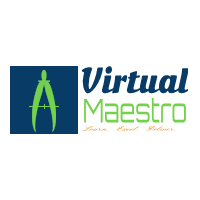 Virtual Maestro: Vembu BDR Suite v3.9.0: What's New? Vembu BDR Suite v3.9.0: What's New? With the begining of year 2018, Vembu has introduced new release of its BDR suite v3.9.0. Vembu BDR Suite provides flexible deployment options like offsite, cloud, on-premise and hybrid cloud. The centralized monitoring and management portal also makes it very easy to monitor and manage large deployments with minimal effort. Vembu extends its support to native tape backup through the Vembu BDR console. You can utilise the best known 3-2-1 backup strategy of having 3 copies of backup data in 2 different media and 1 off-site location for an efficient DR plan. This secondary backup approach will help you to archive the image based backups in both virtual and physical environments like VMware, Hyper-V and Windows Servers and recover them in multiple formats like VHD, VMDK, VHDX, VMDK-Flat and RAW. Enabling the auto authorization feature will allow only the authorized Vembu BDR servers to get connected with Vembu OffsiteDR servers (Replication) using the registration key. Instant recovery of backed up data on VMware ESXi is now made available for both the Hyper-V VMs and Windows Servers backup jobs for an effective Disaster Recovery. This recovery of the virtual machines happens in a matter of seconds by booting the backed up machine directly from the backup storage repository, from where all the files, folders and applications can be accessed. All the events of the Vembu BDR, Off-siteDR & agents like information on critical, warnings and major events are updated in the Event Viewer of Windows Servers when enabled for better management. Users will be able to configure AES-256 bit encryption for all their backup jobs of VMware, Hyper-V, Disk Image through their customized passwords using corresponding password hints as well. OffsiteDR retention policies is now available for the Network Backup plugins too, like the image based backups of VMware, Hyper-V and Disk Image backups at the too. The listing of files and folders while configuring backups on a Network Backup plugin is now up with the aciTree structure for easy and quick navigation. This feature provides the ability to configure running custom actions before and after the execution backup schedule. The custom actions may include running an application using some script files. The overall UI of Vembu OnlineBackup is improved for better performance like the current Vembu BDR and Off-siteDR. Based on the display of the consumed space of Vembu OnlineBackup and SaaSBackup plugins, the customer will be able to allocate and purchase further cloud storage post purchase and upgrade. Download free trial of Vembu BDR Suite v3.9.0 here.